Red Queen by Victoria Aveyard had been sitting on my reading list for a good few months. A close friend of mine was studying the book as a part of one of our Uni projects: To create an online platform surrounding a dystopian piece of fiction. Dystopian through and through the book starts with Mare, the main character of the novel taking the reader through 'First Friday.' The stalls are closing early giving her the chance to pick a few pockets in the crowds of people. Whilst most people of the Stilts look forward to this day, she does not. Mare is currently too worried about her looming 18th birthday, where the threat of conscription to the army is ever present. The fear for herself and her best friend presses Mare to do the unthinkable – try and find a way out. During this point she meets a mysterious boy, who, upon feeling her pickpocket him does nothing. In return he finds her a job, whilst also failing to mention that he is the air to the throne. The next King of Norta. A Silver. Mare is merely Red Blood and after ruining her sister's chances of work it is now down to her. Earning this job in the castle is her way out, her only chance of survival. That is until she is almost killed, her world completely changed and she becomes the long lost Princess of Norta. This story is, quite frankly, amazing. A small hint of the Hunger Games mixed with something completely new. It was a read I could not put down the whole way through, I became transfixed with Mare and each move she made next. Mare as a character is very relatable, maybe not the special gift that she has, but definitely her fight for survival and for the safety of the ones she loves. The book is a first person narrative allowing you into Mare's mind; she gives us glimpses of her thoughts and feelings. We begin to understand Mare and why she makes the decisions she does. The male figures of the novel will leave you feeling happy, hot, embarrassed, angered, annoyed, horrified and shocked. Ultimately everything a man can make you feel on a daily basis. 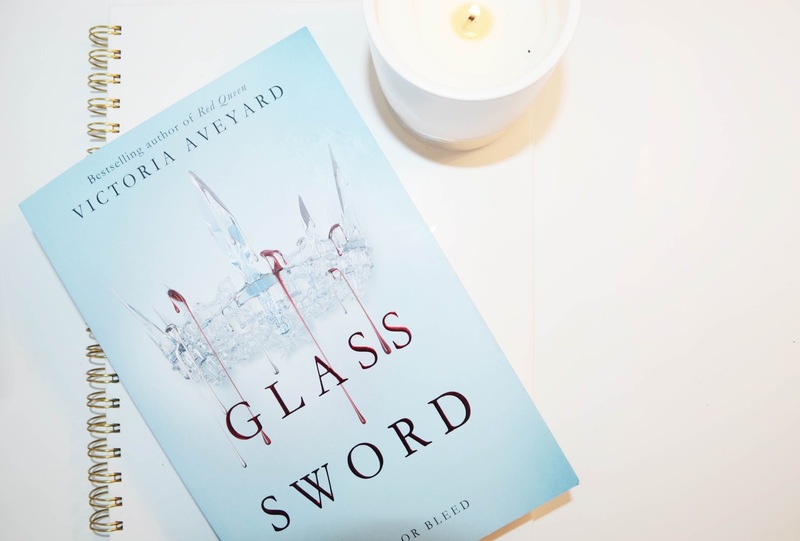 If you are after a new YA novel to read I cannot recommend this one more and I cannot wait to read Glass Sword, the second novel in the series. Whose side are you on? Red or Silver?